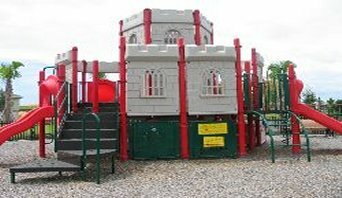 Children Friendly Villas Most 3 or 4 Bed Orlando Villas we offer are child friendly and offer brilliant play areas aswell as outstanding pool facilities, some will including buckets and spades aswell as water pistols and floats (from other people that have stayed there). 6 / 7 Bed Villas These bigger more luxurious villas comes with everything you would except - Large TV , DVD players playstations and bigger games rooms (for the kids) - beautiful pools with hot tubes (for those long park days) - They also make a great 2 family getaway home or those that are taking all the family( including grandparents uncles and aunties). 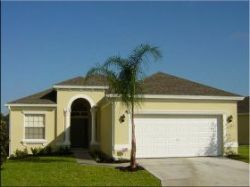 Villas in Orlando - EMERALD ISLAND! 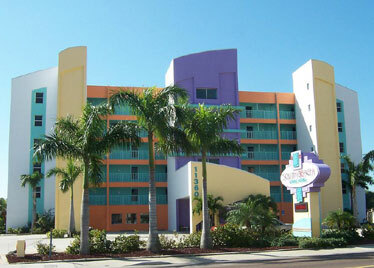 Emerald Island Emerald Island has rapidly become one of the most sought after vacation resorts in the Disney area. An exceptional location combined with a wealth of onsite 'resort style' amenities make this a perfect choice for families and larger groups. 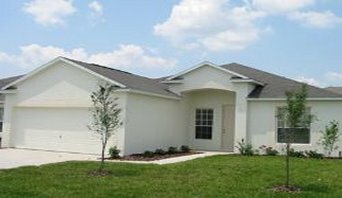 Villas in Orlando - HAMPTON LAKES! Hampton Lakes A very well known, well respected and popular villa development, has always been held in high regard by British holidaymakers with guests returning year after year. These are large, spacious homes in a very relaxing setting. Everyone just seems to love Hampton Lakes. Villas in Orlando - SOLANA RESORT! 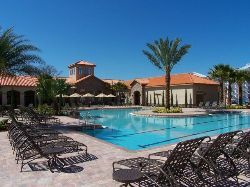 Solana ResortSolana is one of our most popular featured 'resort style' villa communities, a very exclusive gated development located approximately 15 minutes west of Disney Maingate on US Highway 27. If you have children in your party then this resort is ideal, there is loads for them to do on-site plus resort pool and playground. 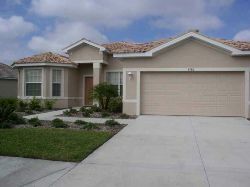 Villas in Orlando - TUSCANA RESORT! Tuscana Resort Tuscana Resort is a brand new, Mediterranean themed, up market condominium resort located right in the heart of the Champions Gate golfing area. A combination of exceptionally high quality accommodation, a great location and superb onsite amenities are sure to make this resort a very popular choice. 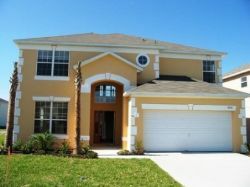 Villas in Orlando - CALABAY PARC! 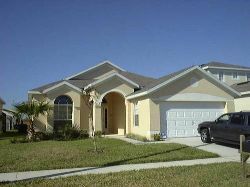 Calabay Parc Calabay Parc is an executive villa development located approximately 15 minutes drive west of Disney Maingate. Gardens and landscaping are mature and the streets very wide, all of which help to create an upmarket and established feel. Guests staying on Calabay Parc can expect to be impressed. Over the past 4 years the quality and size of the homes and the immaculately maintained landscaping have established this as one of the most prestigious vacation home developments. 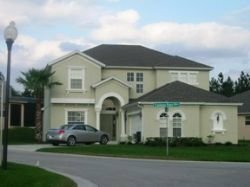 Villas in Florida - BRADENTON - SARASOTA! 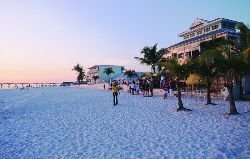 Bradenton Holidays - Sarasota For beach lovers Bradenton and the gulf islands of Anna Maria Island, Longboat Key and Siesta Key provide some of the most dazzling, white sandy stretches of coastline in the whole of North America. This area of Florida is regularly voted as one of the top 20 beaches in the whole of the USA. The beaches are very family friendly, there are various public beach areas all with ample parking, restaurants and rest rooms. Villas in Florida - ST PETERSBURG! South Beach Condo This resort is comprised of two waterfront towers: the South Beach Condo and the Surf Beach Condo. All accommodations include fully equipped kitchens with refrigerators, microwaves, stoves, ovens, and coffeemakers. 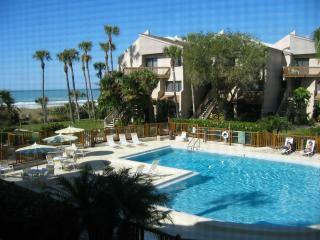 Additional amenities include balconies with Gulf views, washers and dryers, cable TV with VCRs. Villas in Florida - NAPLES! Naples Area Despite being one of the most expensive rental locations on the Gulf Coast, Naples is by far our most popular. 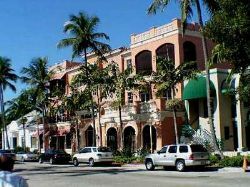 The fabulous beach, stylish, upscale shopping, large number and choice of dining options and wonderful location on the tip of the Florida Everglades prove a huge draw to UK holidaymakers. Of all our rental destinations, Naples is always the first to sell out. Villas in Florida - Fort Myers! 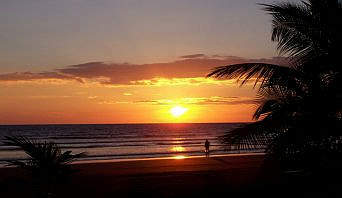 Fort Myers Despite being one of the most expensive rental locations on the Gulf Coast, Naples is by far our most popular. The fabulous beach, stylish, upscale shopping, large number and choice of dining options and wonderful location on the tip of the Florida Everglades prove a huge draw to UK holidaymakers. Of all our rental destinations, Naples is always the first to sell out. Villas along the Gulf Coast are just as well maintained, with all the same facilities you come to expect from a Florida Villa Home. Clearwater and St Petersburg are the first Gulf Coast Area you will come to (Only 30mins from Busch Gardens) - Here you will find beautiful beaches , Shopping Malls and Great fishing. Along the Coast you will find some luxury Hotels and incredibly comfortable Condos with sea views. We alway recommend a 2 Center holiday with Sarasota a great half way area for 2 beautiful white sandy beaches ( Anna Maria Island and Siesta keys.) With Boat rides to find the dolphins and calm cruses around the rich and famous plus delicious fish food restaurants. We offer 2 and 3 Bedroom villas here with pool and hot tubs. Florida Summer Holidays are what you are looking for when thinking of the Gulf Coast and these beautiful sun spot beaches. 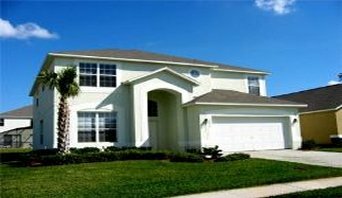 The first thing you look for are villas or apartments - Tampa Area, Sarasota Area or Naples Area are some of our favourite and offer home from home furnishings - 2 to 4 Bed Villas or 2/3 Bed Beach Apartments. Fill in one of our Enquire now forms for an instant quote for Family Villa Package Holidays to Florida.